Having a room at home that could provide you a relaxing, calm and chill environment is something that everyone wants. Meditation sets your mind, heart, and soul at peace and tranquillity. It’s something that allows you to escape from the daily stress and tensions of life and enjoy few moment of relief and ease at home. 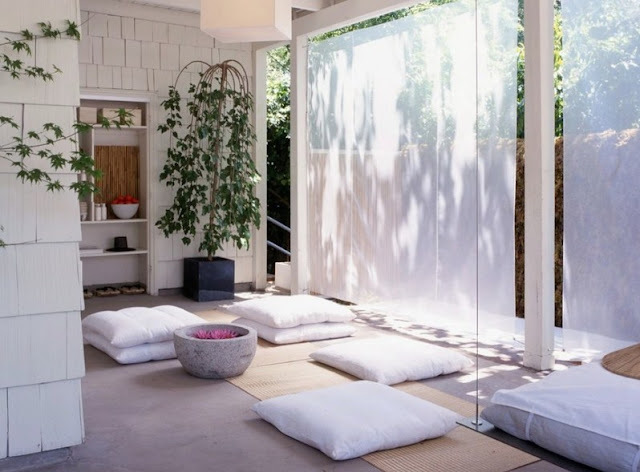 Meditation rooms at home are necessary and 5 amazing ways to make them beautiful and soothing are given as below. 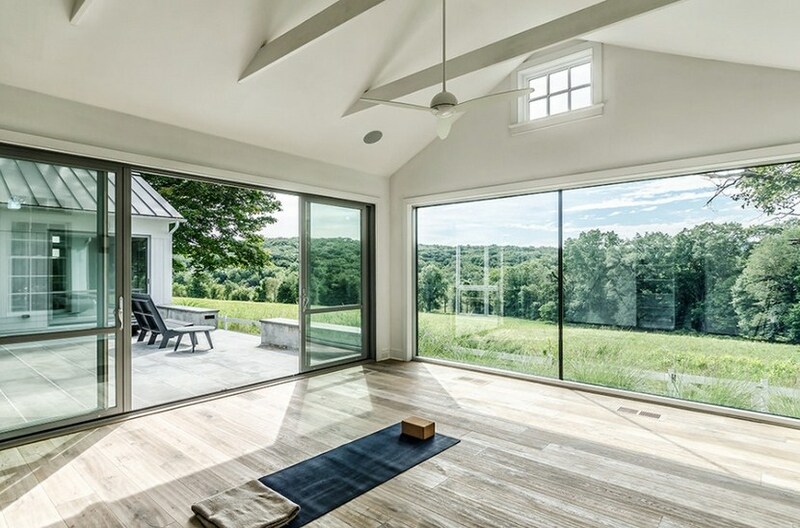 The space, area, or the portion of your home that you are going to use for the meditation or the room that you are supposed to choose should be feel-goo space. By the term feel-good we mean that it should be somewhere, when you step in should bring smile on your face and a positive energy to your over all day. So try choosing rooms that has direct face to sun or it could have another option of facing towards the exotic scenery of sunset, perfect time to mediate and perfect place to mediate. It’s the best way to keep yourself away from distractions and allow yourself to relax in a tranquil environment. 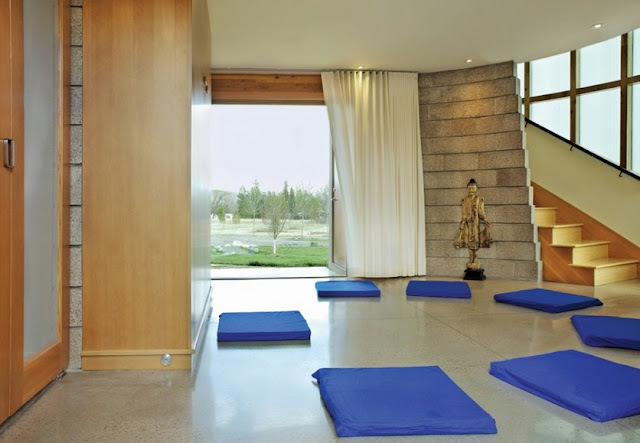 You should have or arrange a music system in your meditation room. Choose some music without lyrics and is calm. It is really not necessary that the music should be classical, it could be any kind of music that delivers peace and tranquillity such as ocean breeze or chirping of birds. The color of the room is a matter of concern, the paint should be of such color that may help you to achieve the kind of mood you want to. There are two options for painting the meditation room, one is that you could use pastel shades because they are eye soothing and mind relaxing. The other is option is to go for darker shades because they the room a womb-like feel which helps you being concentrated during the meditation process. Colors are important because they affect ones mood therefore choose them according to your personality type or preference. Another important aspect of meditation room is its lighting. Well natural light of sun is the best but if you prefer mediating at night or in the evening during sunset then lighting is a well concern. Most preferably dim lights are the best notion for meditation room because they won’t irritate you and would aid in relaxing. 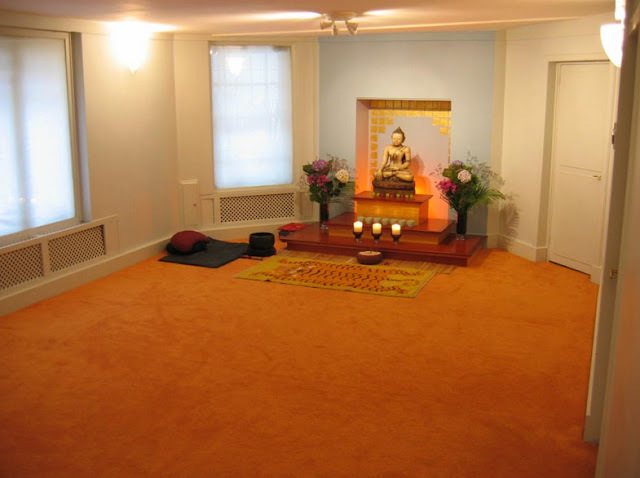 Avoid any kind of decorative piece in the meditation room. Try to keep it as simple, clean, and uncluttered as possible. Decorative pieces such as paintings, frames or sparking lights, or flickering instruments would distract you and loses concentration. The preeminent idea is to keep the room empty and just have few rugs along with some cushions on the floor.